The Way it Goes - monemades Webseite! 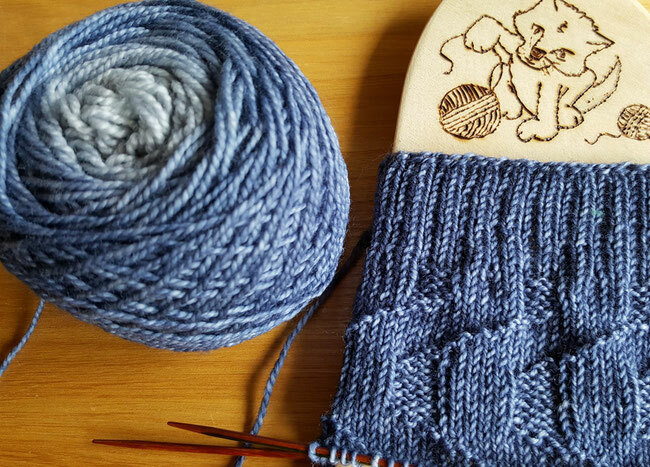 Nope, not getting all philosophic, but it's just the name of my brand-new sock pattern: The Way it Goes. It is the next pattern in my (No longer virtual) Friends collection designed for a very special friend in the US. 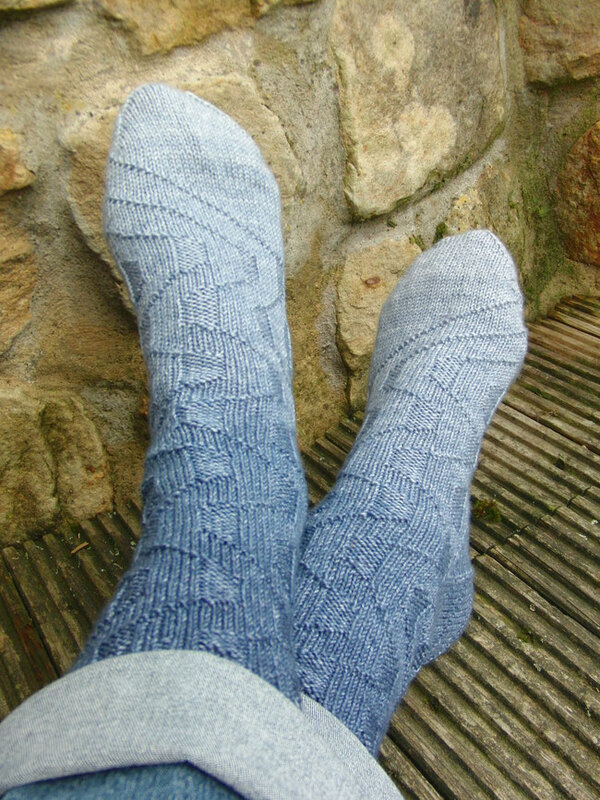 The socks were designed for my long-time Ravelry friend Patti. Over the years we’ve known each other, there were quite some incidents and changes in her life and I wanted to use a stitch pattern to reflect this and to symbolize that it is hard to predict what happens next in life. So I chose an all-over pattern, which zig-zags from left to right, but which on the heel flap and the instep leads smoothly into diagonal, yet straight forward lines, since there’s always hope life’s journey will follow a calmer path in the future. 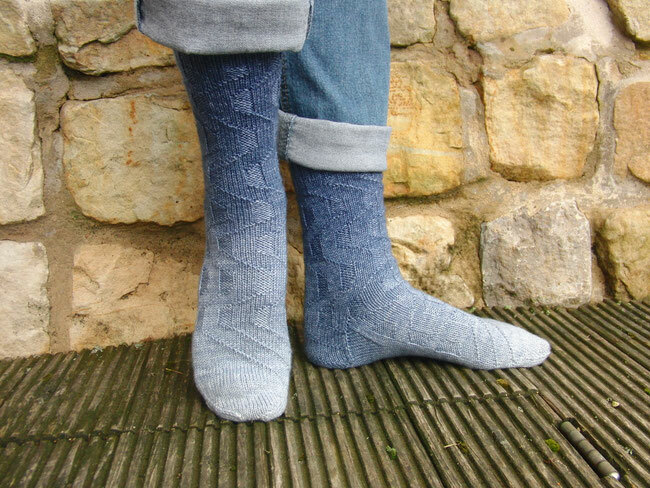 And I really think the gardient yarn, changing from darker blue at the cuff to a lighter grey-blue for the toe, is a perfect match for the pattern! The pattern is available as part as the (No longer virtual) Friends eBook and also as individual download from my Ravelry store, here.